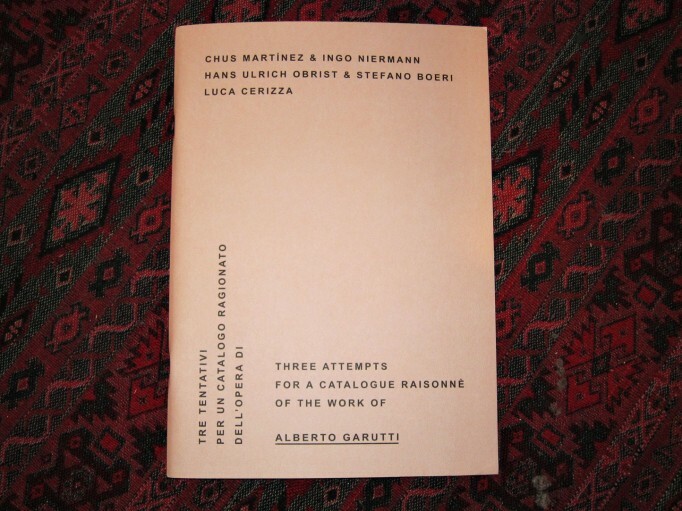 This artist’s book was published on the occasion of the workshop with Alberto Garutti (29-30 September 2010) held at the Fondazione Galleria Civica – Centro di Ricerca sulla Contemporaneità di Trento in the context of the Trentoship / Trento.Link Program. Co-published with the Fondazione Galleria Civica – Centro di Ricerca sulla Contemporaneità di Trento. This entry was posted	on Thursday, November 24th, 2011 at 9:19 am	and is filed under books, distribution, Motto @ Wiels, Motto Berlin store, Motto Zürich store. You can follow any responses to this entry through the RSS 2.0 feed.